On September 4, 2016, about 1840 eastern daylight time, a Stanton DR-1, amateur built Fokker Triplane replica single-engine airplane, N500PY, had a complete loss of engine power during initial climb and was substantially damaged during an off-airport forced landing near a rural residence in Plain City, Ohio. The pilot sustained serious injuries. No persons on the ground were injured. The airplane was registered to and operated by a private individual as a 14 Code of Federal Regulations Part 91 personal flight. Visual meteorological conditions (VMC) prevailed and a visual flight rules (VFR) flight plan had not been filed. The pilot had been building the airplane for several years and had for several months been doing taxi tests in preparation for a first flight. He told witnesses that the airplane inadvertently became airborne during his last high-speed taxi test. The airplane was in level flight about 200 feet above ground level and was about one-half mile from the departure airport when several witnesses heard the engine "sputter" and suddenly stop. After a few seconds the airplane abruptly "nose-dived" straight down into the ground, then impacted a backyard playground set and hickory trees, coming to rest upright about five feet from the initial impact crater. There was a slight postimpact fuel leak, but no postimpact fire. The witnesses called 9-1-1 emergency and immediately went to render aid to the injured pilot until the emergency responders arrived and removed him from the wreckage. The closest official weather reporting station was at KOSU, Columbus, Ohio; located 10 miles southeast from the accident location, At 1853 the Automated Surface Observation System at KOSU, reported wind from 110 degrees at 6 knots, visibility 10 miles, sky clear of clouds, temperature 27 degrees Celsius (C), dew point 13 degrees C, with an altimeter setting of 30.19 inches of mercury. Astronomical data from the United States Naval Observatory indicated that sunset occurred at 1959. UNION COUNTY, Ohio - A man is being treated for injuries after a small plane crash in Union County, just north of Plain City. The crash happened on private property just before 6:45 p.m. on Sunday in the 12000 block of Taylor Road in Jerome Township. The Ohio State Highway Patrol said 53-year-old Todd A. Stanton, of Plain City, crashed shortly after taking off in a Fokker DR 1 single engine plane. Stanton was was removed from the small, single-seat plane by medics and taken to Riverside Hospital with non-life-threatening injuries. The cause of the crash is under investigation but Ohio State Highway Patrol said alcohol is not suspected of being a factor in the crash. UNION COUNTY, Ohio - One person is being treated for injuries after a small plane crash in Union County, just north of Plain City. The crash happened on private property just before 6:45 p.m. on Sunday in the 12000 block of Taylor Road. The Ohio State Highway Patrol said one person was removed from the small, single-seat plane by medics and taken to Riverside Hospital. The person's condition was not available. 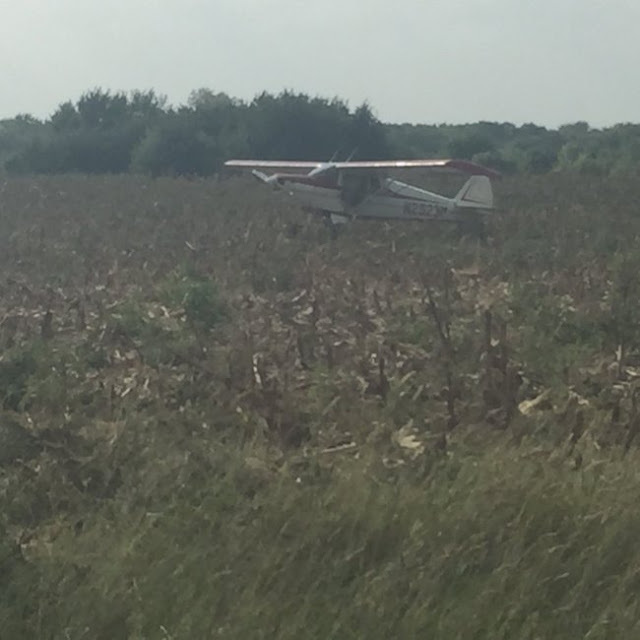 VALLEY CENTER, Kan. A plane runs out of fuel and forces the pilot to land in a cornfield northeast of Valley Center Sunday afternoon. The call of an airport emergency came out a little after 4 p.m. Scanner traffic initially reported the emergency as a plane crash in a field near Woodlawn and 109th Street, but it was confirmed to be an emergency landing. Sedgwick County dispatchers say no one was hurt. A family member of the pilot brought gas canisters for the pilot to refuel the plane. Josh Patterson, the farmer who owns the field where the plane landed was scared he was going to find a body after the first reports came across as a plane crash. "I was really scared there was someone dead in this crash and you never want to see that," Patterson said. The plane ran out of fuel just miles from its destination. 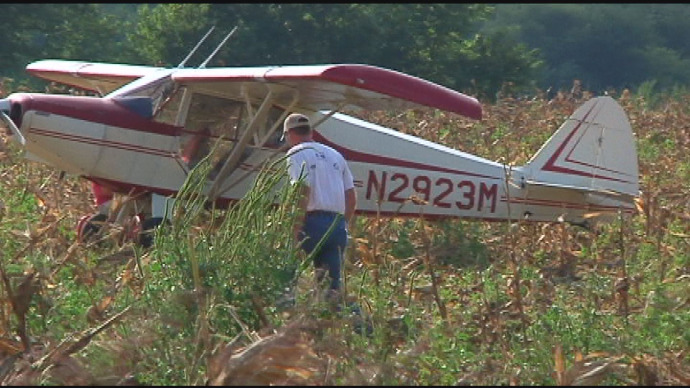 After refueling the plane, the pilot said he could take off from the cornfield without a problem. "I offered to go mow a bunch of stalks for him, but he said he could take care of it," Patterson said. He says he just harvested the corn crop Friday. "He told me he could've landed in the soy beans, but he saw the corn was harvested, so he chose to land there and I'm thankful for that," Patterson said. "I told him that as long as he's okay, that's all that matters." The plane is registered to JK Aerospace in Valley Center. Flight records don't show where the pilot was flying from. 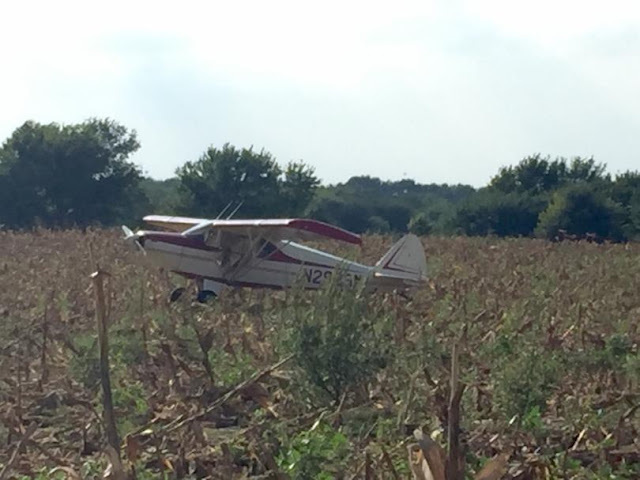 WICHITA, Kan. (KSNW) – A small plane made an emergency landing near Valley Center this afternoon. It happened around 4:30 in a field near 101st Street and Woodlawn. The plane ran out of fuel and had to make a quick landing. Nobody was injured during the landing. The Port of Seattle is set to cut down 2,800 identified trees in SeaTac, Burien and Des Moines. 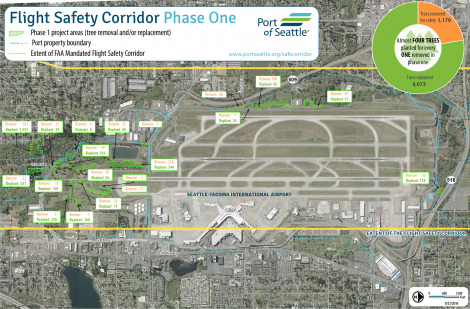 This plan, dubbed the "Flight Corridor Safety Program" is to ensure that planes can take off and land in a way that "safeguards the people at the airport and in the surrounding community", according to the Port. It is also intended to comply with Federal Aviation Administration (FAA) regulations and state code. The trees will be removed over the course of three years. In phase one, which begins in late 2016, approximately 1,170 trees on Port property will be removed. Alongside the cutting, approximately 4,000 trees will be planted to compensate for the trees lost. In subsequent phases, trees will be removed on publicly owned, commercial and residential properties. The full plan can be viewed on the Port's website. "The airport needs to survey the area for obstructions every four years and in 2014 we did just that," said Stephen St.Louis, Port operator. "It's not about clearing places for the pilots to see, it's about the safety of the passengers." If something goes wrong within the course of landing, there needs to be space for planes to make alternate plans, he said. If the runways have obstructions, the FAA can penalize the airport. While the FAA is not mandating that the trees be cut down, the Port said it needs to work with the administration. "The FAA is pretty much telling us that this has to be done," said Port senior media relations official, Perry Cooper. "If these requirements aren't followed the runway may have to be shut down." "The FAA does audit our operations every year," he continued. "We work with them." Additionally, the Port said that this plan is not only about abiding by federal regulations, but by state regulations, as well. Airport hazards are contrary to public interests according to Washington State code. But replanting trees is paramount to the plan, Port officials stated. "The objective is never to have to touch the trees after this," St.Louis said. Steve Rybolt, environmental program manager at the Port explained that the new vegetation will be chosen strategically. "We will put in specific species that are low-growing or are low-height species," he said. "We have our species identified on our website." Species include red alders and Oregon ash. All the species will also be native to the area. "We will not just replant trees, we will also replant shrubs for undergrowth." Currently, the trees that will be removed include a mix of native and non-native species, Port officials said. Rybolt said that following phase one, the Port will have to work with the cities, jurisdictions and residents who own the trees. All tree-owners will be notified in advance that their trees will be cut down. Port officials will also need to personally negotiate with them about which species of trees will be replanted. "In phase 3 we'll be working with residential property owners," he said. "They'll be notified in advance, and each property will be worked with uniquely." "We're going to have to work with them to really understand what they want, but also what we need," he continued. However, there will be limits to replant requests. For example, "a Douglas fir might not work," he said. "We want to try to replant trees where they were removed." A tree bank might be created. So far, for the first phase, 1,800 residents received a letter that a tree close to them might be impacted by the plan. The letter wasn't specific in indicating which tree would be cut. Receivers of the letter were encouraged to call the Port for more information. "We will do that again for phases 2 and 3," Cooper said. "Once we get closer to phase 3 we will reach out to each property owner. We will not randomly show up without prior notification. Additionally, even before that happening, we will have meetings and involve the city." Cooper said the Port had an open house about the project in April. Continued community discussion is planned. The Port has gone through an environmental review process regarding the impacts of phase one, and it was determined that the impacts were of nonsignificance. However, the Port will have to go through environmental review processes for subsequent phases. Moreover, arborists have determined that removing the trees is the only way to solve the problem. "We had an arborist consultant do a lot of field work for us," Rybolt said. "Topping of trees is not a recommended process. As soon as you top the tree, the tree will die and it will become a hazard." There was speculation that the tree-cutting served more than one purpose. The airport is planning to expand in the northern terminal, and residents wondered if cutting the trees would be advantageous to that end, since there might be more room for expansion. However, Port officials said the two had nothing to do with each other. "There's no correlation between cutting the trees and expanding the airport," Rybolt said. "Whether we expand the airport or not, these trees will still have to be removed. There are also no obstructions to where the northern terminal will be located." PORTSMOUTH, OHIO (WCHS/WVAH) — One person is being treated for injuries after a small aircraft crashed in southern Ohio. The small aircraft, which was piloted by Brett M. Lloyd, 58, of Mt. Sterling crashed at about 8:50 Sunday morning near Kinstler Road in the construction area of the new Portsmouth Bypass Project in Portsmouth, Ohio, according to a release from the Ohio State Highway Patrol. The release said when troopers arrived; the gasoline powered parachute had failed to maintain altitude. The aircraft struck a rock pile and then struck a large piece of construction equipment. Lloyd was transported to Southern Ohio Medical Center and is being treated for non-life threatening injuries. 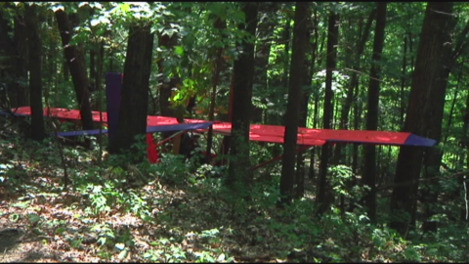 TOWN OF FENTON (WBNG) -- A small plane crashed in the woods at Chenango Valley State Park Sunday morning after having engine failure. Park officials told Action News the crash happened Sunday at around 10:45 a.m.. Authorities said the pilot of a plane lost control of the aircraft after the engine started sputtering. A park manager said the plane crashed 100 yards west of the Chipmunk Bluff Loop One area of the park and that the pilot did not suffer from any injuries. "It was short after take off that he had said the engine started sputtering on him,” Chenango Valley State Park Manager Micheal Boyle said. “He had a little bit of time to find a safe location. He was shooting for a part of the park that he could see from the air that was more clear. Unfortunately he could not get to that location before the tree line hit his plane." A few of the crews on scene included the New York State police, New York State Park Police, and the Broome County Sheriff's Department. Twenty-three hundred years later, the Patey brothers, Mike and Mark, are all about proving him right. Mike and Mark are identical twins. They entered the world 43 years ago, smack in the middle of Ken and Sharon Patey’s 11 children. Mike was No. 5, and 46 minutes later, taking his own sweet time (“I finally had some room in there”), came Mark at No. 6. They grew up in Orem, where their dad raised 11 children on a Seminary teacher’s salary, meaning the Patey kids learned self-reliance or bust. When Mike and Mark were 15 they started a deck-building business, talking their neighbor into letting them use his tools by giving him a cut of the profits. By the time they graduated from Orem High School four years later, they had their own tools — and Deck-It had 200 employees. Ten years later when they sold the business, it was reckoned to be the largest deck- and gazebo-building business in the country. In the years since, the twins have been in and out of more entrepreneurial enterprises than Mark Cuban. Hot tubs, RVs and motor homes, electrical, health care, pharmaceuticals, engineering. Currently Mark (with Mike as a silent partner) owns a company that designs and sells electronic tugs for moving aircraft, and Mike (with Mark as a silent partner) is in the oil business, removing wastewater at oil facilities in eastern Utah. Mark has become a motivational speaker on the side, although as he points out, “Not by design but request.” English translation: If they’ll pay his fee ($15,000) he will talk about what’s worked for him and his brother, and why. Their biggest, most enduring, “problem” is flying airplanes. The twin brothers are practically omnipresent at the Spanish Fork-Springville airport, where they store their current collection of seven airplanes and one helicopter. Aviation was a foreign concept to both of them until what Mike describes as “a weird twin moment” 20 years ago. It was 1996, they were 24 years old, and Mike tagged along with his father-in-law to an air show in California. Intrigued by what he saw, he got on the phone to call Mark and tell him they ought to start flying airplanes. On the very same day, Mark had gone to the Spanish Fork-Springville airport and talked to a pilot there. He was about to call Mike and tell him he thought they should take flying lessons when Mike called him. Not only have they owned and flown, between the two of them, more than 30 aircraft over the years, most of them they have designed, engineered and built themselves. The comparison to Howard Hughes — the pioneering, innovative aviator, not the reclusive, deranged billionaire — was more than symbolic in 2011 when the twins set world records for flying across the country from west to east in a little more than six hours each in a single piston-engine powered plane. In doing so, they etched their name in the record book alongside Hughes, who set the transcontinental record in 1937 when it took him seven hours and 28 minutes to cross the country. In March of 2011, the Pateys left San Diego side-by-side in their home-built planes. They flew wing to wing until they landed to refuel in Brownwood, Texas. From there, Mike flew to Charleston, West Virginia, to set the northern route transcontinental record, while Mark flew to Jacksonville, Florida, to set the southern route mark. Five years later, both records still stand. This year, Mike, adding to the Patey brothers' aviation lore, set a world record for average speed in a single-engine turbo prop plane, averaging 438.02 miles an hour in the sleek, one-of-a-kind “Turbulence” he built from the ground up. He’s also working on a plane he hopes to land on either Mount McKinley or Mount Everest to set a world record for highest altitude landing. Mark and Mike routinely donate their aircraft, and their piloting, for search and rescue operations. Wherever they go, and whatever heights they reach, they credit their synergy for getting them there. Twindom has been very, very good to them. So much so, that they’re thinking that one of these years they’d like to attend the annual Twin Festival in Twinsburg, Ohio, a celebration of all things twin. They can fly to get there, and set twin records along the way. Injuries: 2 Fatal, 1 Minor. 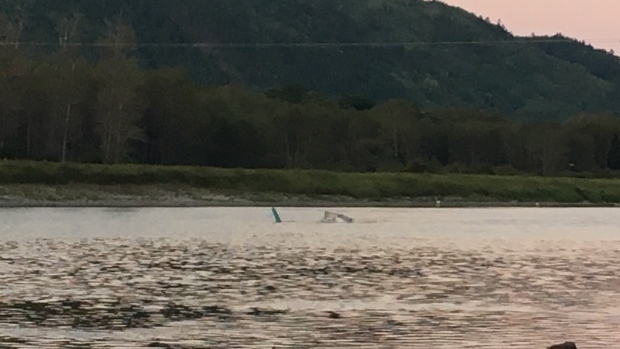 On September 4, 2016, about 1600 Atlantic Daylight Time, a Bell model 206B helicopter, Canadian registration C-GVJT, serial number 3492, collided with power lines during cruise flight before crashing into the Restigouche River near Flatlands, New Brunswick, Canada. The pilot and one passenger were fatally injured. The remaining passenger sustained minor injuries. The helicopter was registered to and operated by 9288-1523 Québec Incorporated. Day visual meteorological conditions prevailed for the cross-country flight from Charlo Airport (CYCL), Charlo, New Brunswick, to Rivière-du-Loup Airport (CYRI), Québec. Singer Bob Bissonnette, right, posted this image on Instagram and Facebook on Saturday with the French-language caption: 'Headed to Caraquet, N.B. Quiet in the helicopter!!" Bissonnette and pilot Frederick Décoste were killed in a helicopter crash on Sunday. Quebec hockey player-turned-singer Roberto (Bob) Bissonnette was killed in a helicopter crash near Campbellton, N.B., on Sunday. His death was confirmed by the Québec Capitals baseball team, of which Bissonnette was a shareholder. The pilot, Frederick Décoste, was also killed. Team president Michel Laplante was injured and is expected to survive. "The entire Capitals organization offers its sympathies to the families and relatives of the victims," the team said in a French-language statement. Before his musical career, Bissonnette played for the Quebec Major Junior Hockey League. The Bell 206B-3 JetRanger III helicopter collided with some power lines at about 4 p.m. Sunday, then crashed into a land embankment and ultimately into the Restigouche River. "This would be out along Route 11 in New Brunswick, just shy of the Quebec border," Cpl. Dan Smith said. Patti Gallie told CBC News she saw the whole thing from her home in Flatlands just outside Campbellton. The crash happened about 150 metres from her house. "Normally we hear helicopters all the time, because they fly up and down the river ... but today it was a noise that was something I hadn't heard before," she said. "I went outside to see what it was and as I went outside, I looked downriver, and at that point the helicopter hit right into the power lines and there was a huge explosion and it fell right to the river and there was pieces everywhere." The power went out instantly. "I literally panicked. I was in shock. I tried to find my husband and I was like, 'Oh my God, you've got to do something. I'm sure there's people there,'" she said. "I couldn't believe it. ... It was awful." She said first-responders were on the scene within minutes. The Transportation Safety Board (TSB) announced it would deploy a team of investigators to the scene on Monday. Two of the investigators are coming in from Dartmouth, N.S. "They'll need to do a little bit of work, assess the accident, take photographs," TSB spokeswoman Julie Leroux said. Smith said RCMP will hold the scene until board investigators arrive. When asked whether the helicopter went down due to striking transmission lines, Smith said the sequence of the events are still unclear. "We do know that it hit the lines and the terrain before winding up in the water," Smith said. Smith said RCMP did not go into the water at any point. He said local first responders performed the rescues. Meghan Gerrish, a spokeswoman for NB Power, said the crash affected two transmission lines that run between Quebec and Eel River. At the height of the power outages, Gerrish said there were about 14,000 customers without electricity. By 9:06 p.m. AT, there were still 2,540 customers dealing with outages. "Specialized transmission crews are on site," Gerrish said. "We don't foresee the rest of our customers being out of power for a great amount of time with this accident. We expect most, if not all, will be back online sometime tonight." CAMPBELLTON, N.B. – The co-owner of the Capitales de Quebec baseball team was one of two people killed in a helicopter crash in northern New Brunswick Sunday afternoon. 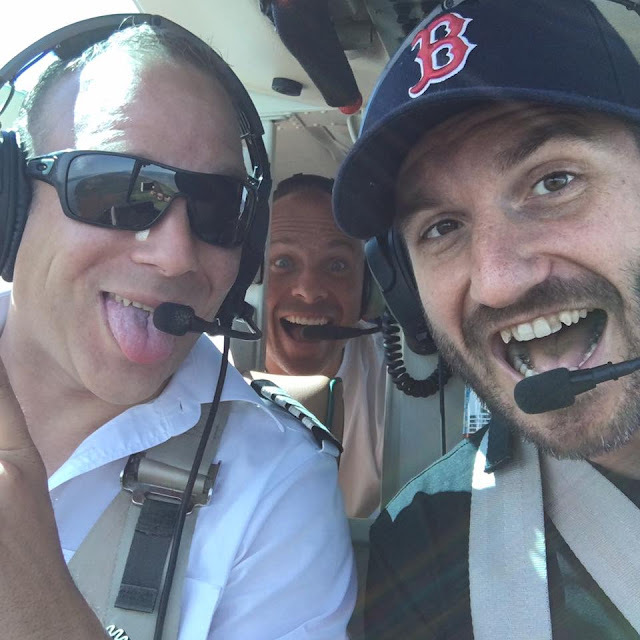 The team’s Facebook page says Roberto Bissonnette, 35, and the chopper pilot, Frederick Decoste, both died in the crash. The Facebook post adds that team president, Michel Laplant, was also on board and suffered non life-threatening injuries. 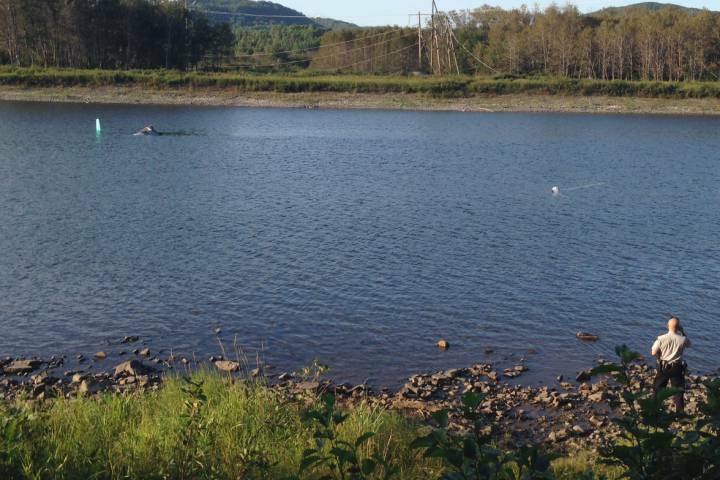 RCMP said the helicopter got tangled in some powerlines in the community of Flatlands, west of Campbellton along the Restigouche River. They said the aircraft ran into an embankment and ended up in the water, but it wasn’t immediately clear if it went into the river or another body of water. Police confirmed there were three people aboard, and that two were killed and the third injured, but they didn’t release any names. There were no immediate details on the helicopter or who owned it. The crash resulted in electricity being cut to some 14,000 customers in the area, but New Brunswick Power said that all had been reconnected by early Sunday evening. The Transportation Safety Board has been called in to investigate the cause of the crash. The Quebec City based Capitales de Quebec are members of the Canadian American Association of Professional Baseball, known as the Can-Am League, which has teams in Eastern Canada and the northeastern United States. Mike Lane and his wife, Sally, like to have breakfast some weekends at Crosswinds restaurant at the Payson Airport. That’s just a 30-minute jaunt from Chandler in his 300 horsepower, single-engine Bonanza F33A, not including the 20-30 minutes he spends on a pre-flight inspection, and the three minutes or so it takes him to taxi to one of Stellar Airpark’s two runways. 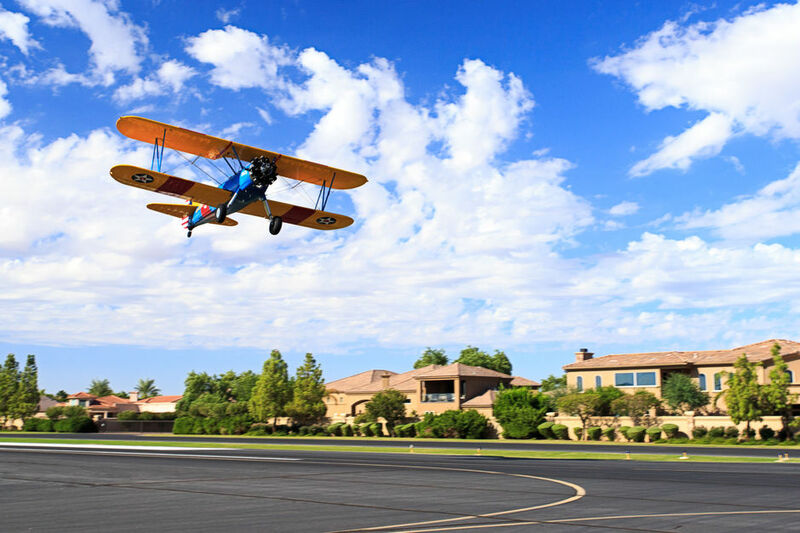 Like thousands of other East Valley subdivisions, where life revolves around serene lakeside living or bustling golf courses and clubhouses, Stellar Airpark has a tie that binds its more than 100 homeowners. It just happens to be piloting magnificent flying machines into the wild blue yonder. The Lanes, who work in IT, moved to Stellar 10 years ago. Mike was visiting his sister in the Valley and noticed bulldozers moving dirt around south of Chandler Boulevard and Galaxy Drive, west of Chandler Fashion Center. When he saw the well-maintained runways and distinctive homes sprouting up, he and Sally started charting a move from metropolitan Washington, D.C.
Sally was nervous at first. She feared she might become isolated, hanging out with other spouses who had little interest in business or community. Neighbors she got to know disabused her of that notion, and the Lanes quickly settled into the community’s cruising speed. At Stellar, even the street names are out of this world. In the older north section, main streets such as Stellar Parkway and Galaxy Drive branch off into Mercury, Venus, Saturn and Jupiter Ways. In the newer south section, custom homes—mostly in the Mediterranean style—line Kitty Hawk, Lindbergh, Earhart and Rickenbacker Ways. All but a few of the homes in the two gated communities have cleverly disguised hangers attached to the back. The hangers are served by short taxiways that lead to and from the runways. Lane says the airport’s 3,900-foot asphalt runways are long enough to accommodate small jets, such as the Cessna Citation, which several residents own. But many Stellar residents cling to the old ways. Larry Perkins’ personal plane is a 1946 Aeronca 7AC. He also flies an old Howard, a vintage Bell helicopter and a replica P-64/NA-50, which was used as a fighter plane and trainer during World War II. Those aircraft are owned by the estate of a Stellar collector who died in February. As a lad growing up in the ’50s, Perkins rode his bike to a local airport, where he plunked down the then-enormous sum of $5 to ride in an airplane. He loved it so much that he rode his bike back to the airport the next week and got a job with the fixed-base operator as a line boy. By his late teens, Perkins was taking former flight teachers up in the air, serving the California National Guard and flying for hire. Fixed-base operators are like marinas. They provide fuel, maintenance, aircraft rentals and rent tie-down lines to pilots who don’t have private hangers or just want to use the airport temporarily or seasonally. Avgas, as pilots call it, is expensive: $4.69 per gallon, currently. Most of that is federal tax that goes into a fund to build new general-aviation airports. Lane says the tradeoff for skipping security lines and getting to San Diego in 100 minutes is a $240 avgas bill. East of the runways, spanning to McClintock Drive, there’s a compact commercial section of the airpark that houses industrial-park-type businesses and large hangers for oversize or overflow aircraft. A small flight school fell victim to the 2008 recession. But Stellar Airpark is looking like it will finally reach its own version of build-out soon. According to Lane, Stellar’s fixed base operator plans to use some of his space to develop condominiums with hangers. Another developer is going through city channels to build 12-14 custom homes on a vacant strip of land in the north section of airpark, along Beechcraft Place just south of Chandler Boulevard. In 1969, Harold Earley Jr., a cotton farmer, thought it would be a cool idea to be able to land a private plane in West Chandler and taxi it right into your home, according to Stellar’s resident historian, Joe Martin. In those days, Chandler Boulevard was known as Williams Field Road. He sketched out 40 homes with private taxiways and another 40 with access to a tie-down area. The forward-thinking farmer also envisioned building a motel and having a cafe above a fixed-base operator where residents and the public could dine and enjoy watching small planes take off and land. Earley developed the airport and got about 40 homes built in the north section of Stellar Airpark, but he died in a plane crash in 1975, before his dream could be fully realized. Tom Van Sickle, a local developer, bought the property from Earley’s estate in 1976, and he started building the industrial park. In 1979, the airpark had achieved enough mass to be annexed by the City of Chandler. Unfortunately, Van Sickle borrowed against the undeveloped south half of Stellar Airpark, and he became ensnared in the savings and loan crisis of the late 1980s. All of a sudden, a big chunk of Stellar was owned by the Resolution Trust Corp.
Then, in 1990, Maricopa County threw down a delinquent property tax bill to the tune of $200,000. The airport was perilously close to being transferred to a tax lien investor. Residents dug deep in their pockets to legally defend themselves and hastily formed a nonprofit organization called the Stellar Runway Utilizers Association. Incredibly, according to Martin’s research, the SRUA managed to buy back the assets from Resolution Trust for $500, and persuaded Maricopa County to settle the delinquent tax bill for $1,000. Residents who financed the fight with private loans and donations got reimbursed when the SRUA sold unused land south of the runways to ADOT to make way for the Loop 202 freeway. In 1999, Jeff Mark—the Mark part of Mark-Taylor, the high-end apartment developer—bought the south section and cleared the way to develop 65 new lots. As part of the deal, he renovated the runways and upgraded the lighting/navigation aids and taxiways. Perhaps because pilots feel blessed to be able to fly, and thankful for every safe takeoff and landing, they have a keen sense of giving back. Mike Lane, for example, is an honorary commander with the 62nd Fighter Squadron at Luke Air Force Base, and he uses that opportunity to arrange tours of the base for youth groups. Other residents volunteer for Angel Flights, which ferry patients who can’t afford commercial flights to distant hospitals. Another resident fires up his helicopter whenever local law enforcement officials mount a search-and-rescue operation. Larry Perkins also volunteers in a special way. And you don’t truly realize how much of a skilled pilot he is until you learn he’s one of the pilots who flies the B-17G Flying Fortress at Falcon Field to benefit the Commemorative Air Force Base. 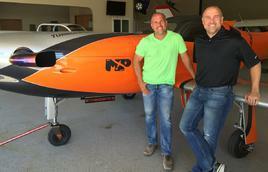 The private pilot and a passenger were conducting a local flight and performing aerobatics. Witnesses observed the pilot conducting "flybys" and "tricks" in the area. One witness reported observing the airplane complete "flips and spins" for about 10 minutes before the accident. Ground-based video footage depicted the airplane flying over the river at low altitude. The airplane pitched up and entered a steep climb. As the airplane reached the top of the climb, it yawed to the left and entered a near- vertical descent and gradual left turn. Shortly before impacting the river, the gradual left turn reversed abruptly into a right, descending turn. The airplane then impacted the river. A post-accident examination of the airframe and engine did not reveal any anomalies consistent with a pre-impact failure or malfunction. According to a friend, the pilot was competent in spins and had received instruction in aerobatic maneuvers. However, the lack of a formal logbook training record with respect to aerobatics, the investigation could not determine the pilot's level of proficiency in such maneuvers. Toxicological testing on the pilot was positive for cocaine and its metabolites; cocaethylene, a metabolite formed when cocaine is ingested with alcohol; and levamisole, a drug commonly used to "cut" street cocaine, in urine. Cavity blood was positive for methamphetamine and its metabolites. The absence of cocaine in the pilot's blood suggested distant usage. Accordingly, the acute effects of the drug had likely dissipated. The level of methamphetamine in the pilot's blood sample was low. As a result, the presence of any residual effects of the drug could not be determined. Based on the available information, the investigation was unable to determine whether the pilot was impaired, if at all, at the time of the accident. The pilot's loss of control attempting to recover from a low-level aerobatic maneuver. Contributing to the accident was the pilot's decision to attempt the low-level maneuver which significantly reduced any margin for error. On September 3, 2016, about 1900 central daylight time, a Bellanca 7ECA airplane, N787MW, impacted the Trinity River while performing low-altitude aerobatic maneuvers near Moss Hill, Texas. The pilot and passenger sustained fatal injuries. The airplane was substantially damaged. The airplane was registered to a private individual and operated by the pilot as a 14 Code of Federal Regulations Part 91 personal flight. Visual meteorological conditions prevailed at the accident site and the flight was not operated on a flight plan. The local flight originated from a private airstrip in Cleveland, Texas, at an undetermined time. Witnesses observed the pilot conducting "flybys" and "tricks" in the area. One witness reported observing the airplane complete "flips and spins" for about 10 minutes before the accident. Ground-based video footage depicted the airplane flying over the river at low altitude. The airplane pitched up and entered a steep climb. As the airplane reached the top of the climb, it yawed to the left and entered a nearly vertical descent and gradual left turn. Shortly before impacting the river, the gradual left turn reversed abruptly into a right, descending turn. The airplane impacted the river in a nearly vertical, nose-down attitude and came to rest inverted and partially submerged in the river. The pilot's initial logbook entry was dated March 14, 2015; it was denoted as an "orientation flight" and was conducted in the accident airplane. His primary flight training was completed in the accident airplane, as well as Cessna 152 and 172 airplanes. The pilot was issued a private pilot certificate on July 13, 2015. 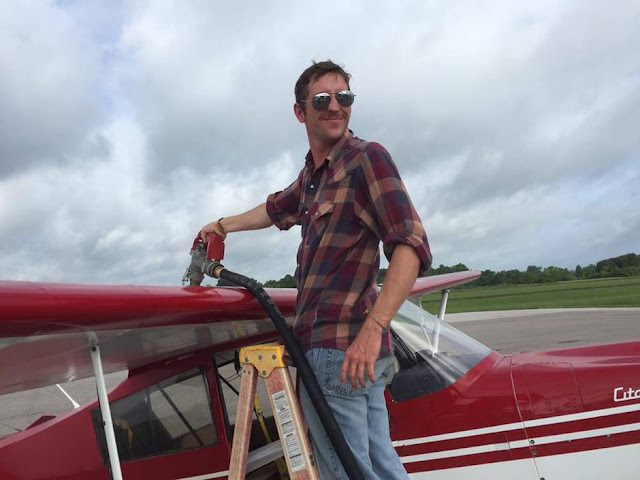 He received a tailwheel airplane endorsement on July 14, 2015. The logbook also contained a stall awareness/spin competency endorsement dated January 5, 2016. The logbook did not contain any entries that specifically noted instruction in aerobatic maneuvers. However, a friend of the pilot's family stated that the pilot had received instruction and was competent in basic aerobatic maneuvers. Federal Aviation Administration (FAA) records revealed that the current owner purchased the airplane in November 2014. The exact airplane total time could not be determined because the recording tachometer was damaged consistent with impact forces. The airplane came to rest inverted and partially submerged in the Trinity River about 1/3 mile south of Highway 105. 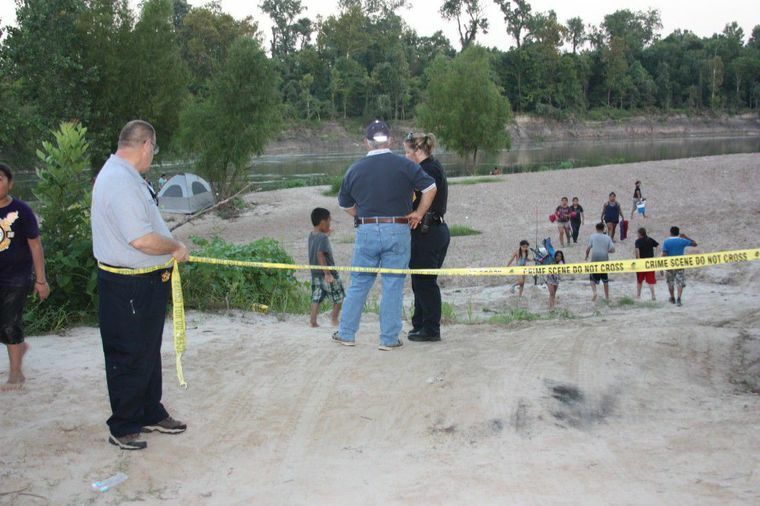 A small beach area was located along the bank of the river immediately south of the highway overpass. Both river banks were lined with low trees in the immediate vicinity of the accident site. A post-accident examination of the airframe and engine did not reveal any anomalies consistent with a pre-impact failure or malfunction. A detailed summary of the airframe and engine examinations is included with the docket material associated with this accident case. An autopsy of the pilot was conducted at Forensic Medical Management Services in Beaumont, Texas. The pilot's death was attributed to blunt force injuries sustained in the accident. Benzoylecgonine and ecgonine methyl ester are inactive metabolites of cocaine; cocaethylene is a metabolite that is only formed when cocaine is co-ingested with ethanol. Levamisole is commonly used to cut street cocaine. Ibuprofen is an over-the-counter analgesic commonly marketed with the names Advil and Motrin. Methamphetamine is available by prescription for the short-term treatment of narcolepsy and obesity, but is also commonly available on the street. Patrick Falterman (right), 26, of Tarkington, was the pilot of a Bellanca 7ECA that crashed September 3rd, 2016 in Moss Hill, Texas. 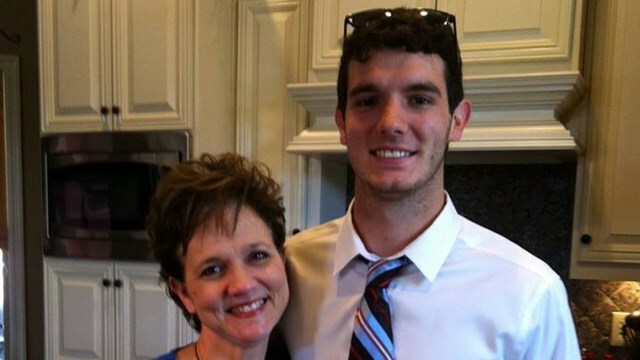 His passenger, Zach Esters, 25, of Lafayette, Louisiana was on board the plane. Both young men were killed. On September 3, 2016, about 1900 central daylight time, a Bellanca 7ECA airplane, N787MW, impacted the Trinity River about one-third mile south of Highway 105 near Moss Hill, Texas. The pilot and passenger sustained fatal injuries. The airplane was substantially damaged. The airplane was registered to a private individual and operated by the pilot under the provisions of 14 Code of Federal Regulations Part 91 as a personal flight. Visual meteorological conditions prevailed for the flight, which was not operated on a flight plan. The local flight originated from the Cleveland Municipal Airport (6R3), Cleveland, Texas, at an undetermined time. Witnesses reported observing the pilot completing several low altitude maneuvers before descending and impacting the river. 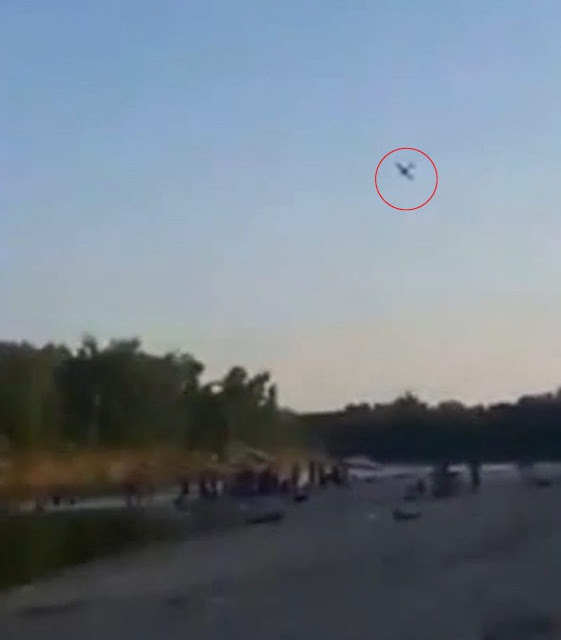 Ground-based video footage depicted the airplane flying over the river at low altitude. The airplane pitched up and entered a steep climb. As the airplane reached the top of the climb, it yawed to the left, subsequently entering a near vertical descent and gradual left turn. Shortly before impacting the river, the gradual left turn reversed abruptly into a right, descending turn. The airplane came to rest inverted and partially submerged in the river. The National Transportation Safety Board did not travel to the scene of this accident. Witnesses reported observing the pilot completing several low altitude maneuvers before descending and impacting the river. 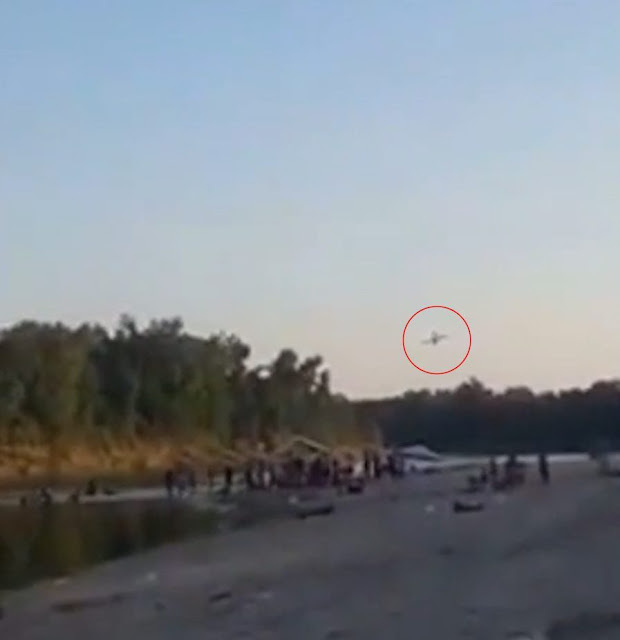 Ground-based video footage depicted the airplane flying over the river at low altitude. The airplane pitched up and entered a steep climb. As the airplane reached the top of the climb, it yawed to the left, subsequently entering a near vertical descent and gradual left turn. Shortly before impacting the river, the gradual left turn reversed abruptly into a right, descending turn. The airplane came to rest inverted and partially submerged in the river. 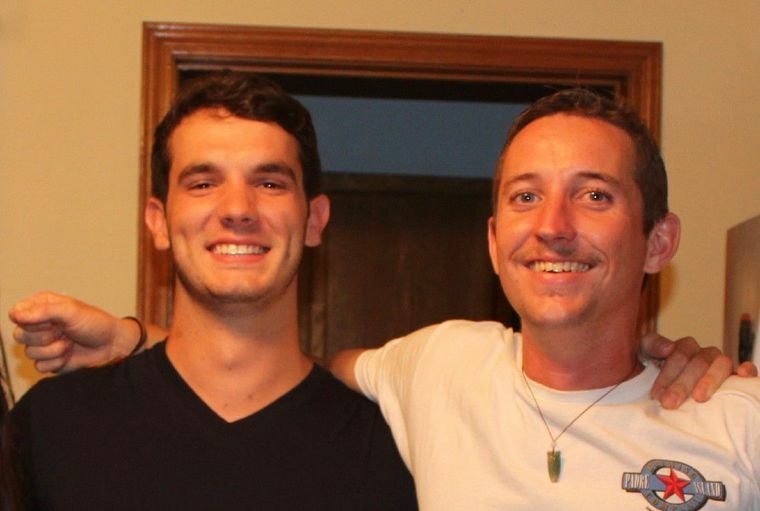 Patrick Falterman (right), 26, of Tarkington, was the pilot of a plane that crashed September 3rd, 2016 in Moss Hill, Texas. His passenger, Zach Esters, 25, of Lafayette, Louisiana was on board the plane. Both young men were killed. They say it takes a village to raise a child. In Patrick’s case, it took the world. At 19 he left home and hitchhiked to the West Coast, and from there went south all the way through Mexico and Central America. He crossed the Darién Gap and traveled slowly down the Andes to the tip of South America where he lived in a boxcar for several months and was a Spanish-speaking tour guide in a penguin preserve in Chile. He held a variety of other jobs, including, but not limited to, teaching English, rolling tortillas, washing dishes, translating, and guiding fishing tours. After three years, he made his way to the Amazon Basin, and canoed the river and its tributaries for two and a half years. He learned fluent Spanish and Portuguese, slept in tents, hammocks, other homes etc. Mostly, he met people. They were charmed by his vivacity and sense of humor and welcomed him into their homes and lives. And he never forgot them. He returned home in March 2015 and began learning to fly because he wanted to become a crop duster. He was a month away from finishing his instrument rating and commercial rating. True to his nature, he didn’t just fly, he flew. He did everything all the way or not at all. He had many friends, and one of his best friends was Zach Esters. Zach and his family have been longtime family friends, our history stretching out to long before either of the boys were born. The reason I am telling you this story is because many people have wondered, and sometimes the imagination is worse than the truth, and the truth has a way of being misconstrued. I would like to correct the inconsistencies in some of the newscasts I’ve seen. To be fair, we were not in the right mental state to give interviews, so the media had to go by hearsay. First of all, we did not see the accident. Our kids had several friends over and Patrick had been giving everyone short rides. We were waiting for him at home on our grass strip. Zach was his last passenger, and they wanted to fly over the Trinity River during the sunset. If any young men can appreciate beauty, it was these two. Also, I am neither a flight instructor nor a flight attendant. I was a reading interventionist at Tarkington Elementary for many years. Patrick’s younger sister is a flight instructor at Austin Bergstrom International Airport and his dad was an Air Force pilot who now flies for Southwest Airlines. The airplane was a Citabria, not a Cessna, and it was an aerobatic airplane. Patrick was proficient and had performed these maneuvers often with many different friends. Despite the news, it is the belief of local pilots that he was not performing an aerobatic maneuver that close to the ground. No one knows why this accident occurred, and any speculation now only breeds more rumors and misinformation. I am overwhelmed by the amount of love and support (and food!) we have received from people both far and near. We were surrounded by friends and family for at least a week, and attendance at both the funeral and the airport memorial flyby was phenomenal. It really touched me to see how many people love us and loved Patrick. Guests from other parts of the world commented on how warm and welcoming people are here and on how many people said, “Yes, ma’am” and “No, ma’am.” This makes me proud to be from the south and proud of my community. I guess I never realized how many “families” we have — our church family, our old military family, our school family, our airport community family, Southwest Airlines, Patrick’s work family from Pappa’s Seafood, and our extended family who came from all over the United States. Patrick had another family, the vagabonding community and his fan club from his blog — one which, by the nature of its members, must be joined together digitally. A fellow hitchhiker and artist from Peru attended and designed a tribute to Patrick on his webcomic, Things in Squares. Social media was inundated with funny stories, sincere wishes, and loving comments, all in several different languages. His blog, hitchtheworld.com, had a substantial following, and people from all walks of life were influenced in some way by my son. Patrick did indeed have a lust for adventure and life, and it is now apparent that he needed the world as much as the world needed him. A scholarship fund called The Patrick Falterman Memorial Scholarship is being set up in lieu of flowers. His high school classmates also designed T-shirts that they will be selling until Sept 25 and the funds from that will go toward the scholarship. Many people have asked for a copy of my husband’s eulogy, but since it was spoken from the heart and not on paper, we will have to write it down. The eulogy will serve as the last entry on Patrick’s blog and will be posted soon on his website. Patrick Joseph Falterman II, age 26 of Cleveland, Texas, passed away Saturday, September 3, 2016. He was born March 16, 1990 at Minot AFB in North Dakota to parents Pat and Cindy Falterman. He is preceded in death by his paternal grandparents, Casey and Edna Falterman and his Godfather/Paran Joey LaLonde. Survivors include his parents Pat and Cindy Falterman; maternal grandparents, Raymond and Evelyn LaLonde; son, Erik Oliver da Silva Falterman; brother, David Falterman; sister, Ellen Falterman; his girlfriend and love of his life, Isa Garcia; and numerous other relatives and friends. A Memorial Mass will be held at St. Mary's Catholic Church (702 E. Houston St, Cleveland TX 77327) on Saturday at 11:00 a.m. with a luncheon to follow. A celebration of Patrick's life will be held on Sunday, September 11 from 3:30 p.m. until dark at the Cleveland Municipal Airport (17699 Highway 787 Cleveland TX 77327). In lieu of flowers, his family would appreciate contributions to a scholarship fund for the Tarkington Schools that will be set up in his name at a later date. 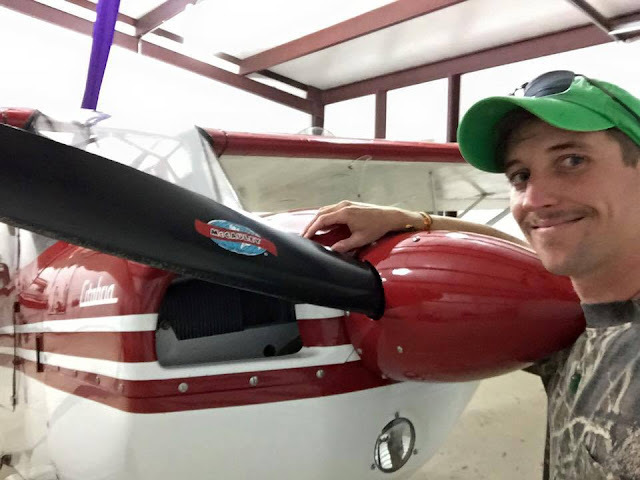 LAFAYETTE - Funeral services will be held on Saturday, September 10, 2016 at a 1:00 PM Mass of Christian Burial at St. Joseph Catholic Church in Milton for Zachary Seth Esters, age 26, who died in an aviation accident while flying along the Trinity River near Cleveland, Texas on Saturday, September 3, 2016. Interment will be in St. Joseph Cemetery in Milton. Reverend William Schambough, Pastor of St. Joseph Catholic Church in Milton, will be the Celebrant of the Funeral Mass and will conduct the funeral services. Survivors include his parents, Irvin Glenn Esters and Monica Maria Lormand Esters; his maternal grandmother, Mercedes Lormand; his paternal grandmother, Grace Esters; his Godparents, David and Leah Lormand; his girlfriend and the love of his life, Sara Brooks; one brother, Aaron; one sister-in-law, Heather; one niece, Arya Rose; and many wonderful friends, cousins, aunts, and uncles. Those who knew Zachary knew him to be a fine human being. He had a kind heart and a loving spirit. He was so very much loved by so many people and he touched so many lives. The ripples he sends out from his short life will extend to many people, for many years, and for many generations. He was a risk-taker and an adventurer; a comedian and prankster, but most of all a loyal and loving son and friend. He was altruistic to a fault and many friends, family, and even new acquaintances were recipients of his kindness and hard work. Zach packed more living into his 26 years than do most people twice his age. He was preceded in death by his maternal grandfather Theophis "Bill" Lormand; his paternal grandfather Glenn Esters; and one aunt Beth Lormand..
Pallbearers will be Gabe LaFleur, Jarred Castro, Garrett Shexnailder, Kain Miller, Zach Privat, Will Chitwood, Jason Bodin, and Will Armstrong. The family requests that visitation be observed on Friday from 3:00 PM to 9:00 PM and will continue on Saturday from 8:00 AM until time of service. Louisiana native, Zach Esters, right, was killed in a small plane crash in Liberty County on Saturday. 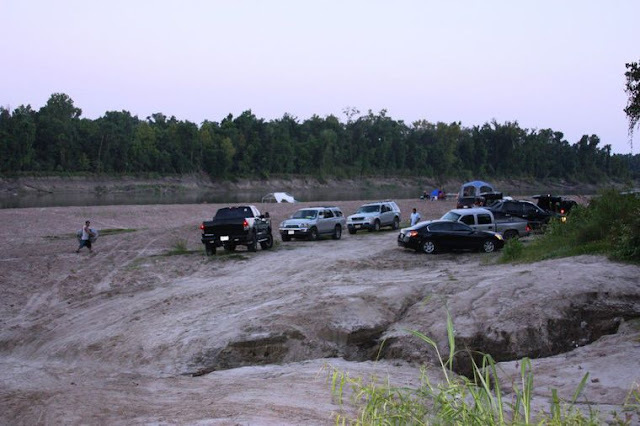 LIBERTY COUNTY, Texas - Two men are dead after a single engine airplane crashed into the Trinity River Saturday evening. According to the Liberty County Sheriff's Office, the men were identified as 26-year-old Patrick Joseph Falterman from Cleveland, Texas who piloted the airplane. He was accompanied by his friend, 25-year-old Zach Esters who was visiting from Lafayette, Louisiana. Authorities say the airplane stalled before it crashed in the river about a quarter mile from Highway 105. Deputies, along with other first responders and volunteer fire departments, rushed to the site of the crash. When they arrived, they found the plane upside down in the river. Witnesses said they saw the plane flying rather low before it went nose first into the river around 7 p.m.
"The plane apparently tried to do a barrel roll," said Capt. Ken DeFoor of the Liberty County Sheriff's Office. 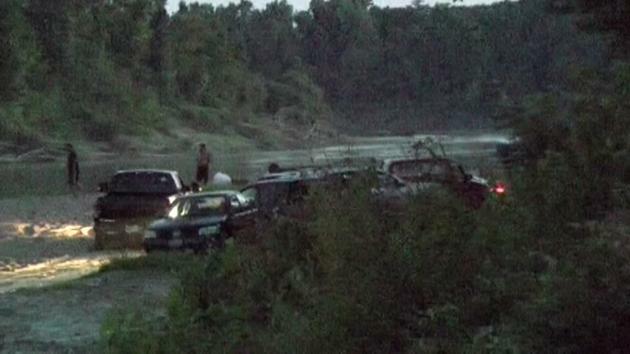 "It came down nose first, hit the Trinity River and flipped over on it's back." Falterman comes from an aviation family; his mother is a flight instructor and his father is a pilot for Southwest Airlines, according to friends. Those who know him say Falterman loved flying and adventure. "A free spirit is the best word I can say when it comes to him," said Morgan Galland, who knew Falterman from Tarkington High School. "He literally passed away doing what he loved." Falterman was developing a growing online presence through his website, hitchtheworld.com, where he chronicled his trips traveling through South and Central America. People all over the world followed his adventures on his blog and social media. "He hitchhiked and traveled the world," said Galland. "He basically lived an awesome life." Falterman's friends are hosting a candlelight vigil in his memory at Cleveland Municipal Airport on Sunday at 8 p.m. The event is open to the public, but relatives have asked members of the media to stay away. Liberty County deputies are keeping a close watch on the crash site because the damaged aircraft remains in the water. Investigators say it will be removed at a later date. "He got to see and do many things that none of us are ever going to be able to do," says Galland. "He touched many lives." Friends of Esters are also leaving condolences on his Facebook page. Esters apparently graduated from Ovey Comeaux High School in Lafayette, La. and studied at the University of Louisiana at Lafayette. Friends have commented on his page saying he was a great person who was always happy, others said it didn't seem real and he was a good guy, taken too soon. An official from the FAA conducted the preliminary investigation and an autopsy has been ordered. The airplane will be moved from the river at a later date. 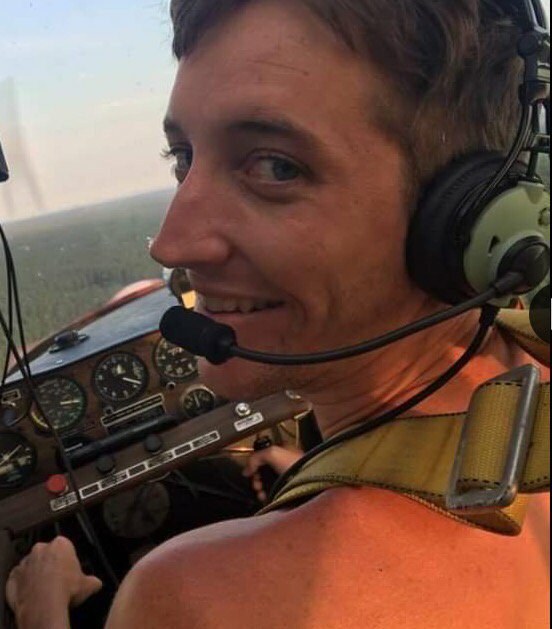 The office says in a statement that the pilot Patrick Joseph Falterman, 26, Cleveland, Texas, and his friend, Zach Esters, 25, who was visiting from Louisiana, died after the plane went nose-down about 6:50 p.m. Saturday into the river about a quarter mile south of the Highway 105 bridge in Liberty County. Two people are dead after a single-engine plane crashed into the Trinity River a quarter-mile south of the SH 105 bridge Saturday evening around 7 p.m. Witnesses on the scene say the pilot was performing trick maneuvers when the plane’s engine suddenly stalled or was turned off. The plane crashed nose-first into the shallow waters along the east bank. The recovery of the victims and the plane is being hampered as the area where the plane crashed is accessible only by boat. “It was the scariest thing I’ve ever seen, “ said Joanne Gaines, of San Antonio, who was visiting friends in Liberty County. Gaines said it appeared the engine was turned off or stalled right before the crash. “He was doing flips and barrel rolls right before that,” she said. Other witnesses, including Jackie Martinez and her daughter, Blanca Barajas, 14, both of San Antonio, shared the same account as Gaines. The sandy bank in this section of the Trinity River is a popular place for family outings. Every weekend, during warm weather months, large groups of people can be seen swimming in the river or playing on the sandbar. This Labor Day weekend was no different. At the time the plane crashed, 100 people or more were at the river, many who watched the plane as it went down. The deceased have been identified as pilot Patrick Joseph Falterman, 26, of Cleveland, and his friend, Zach Esters, 25, of Louisiana. Shortly before 9 p.m., family members of the victims had arrived on the scene. The investigation is being overseen by the Liberty County Sheriff’s Office and the Texas Department of Public Safety. Firefighters and first responders from Tarkington and Hardin volunteer fire departments, along with Liberty County EMS, are assisting. Representatives from the Federal Aviation Administration are expected to arrive later this evening. 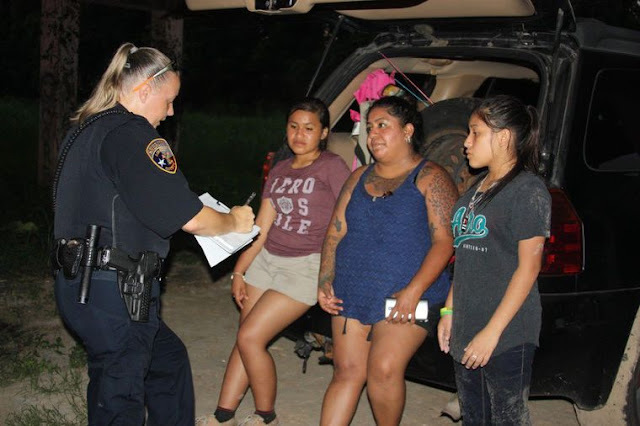 Jackie Martinez and her daughter, Blanca, from San Antonio, were among the witnesses to a plane crash Saturday evening near Moss Hill. The plane crashed into the Trinity River about a quarter-mile south of the SH 105 bridge. LIBERTY COUNTY, Texas - Two men are presumed dead after a small plane crashed in Liberty County Saturday evening. The plane stalled before it crashed in the Trinity River about a mile from Highway 105, according to the Liberty County Sheriff's Office Public Information Officer. We're told the two men are from the Cleveland area. Their identities have not been released at this time. We are working to gather more information and will update this story as soon as more details become available. LIBERTY COUNTY, Texas - An investigation is underway after a plane crash Saturday night in Liberty County, authorities said. The crash happened around 7 p.m. about a quarter of a mile south of the Highway 105 bridge and the Trinity River, according to Ken DeFoor with the Liberty County Sheriff's Office. Several witnesses said they saw the plane stall, then turn over onto its back in the water. "He was doing a barrel roll and then I heard the engine stop and the next thing I knew he crashed into the river," witness Joanne Gaines said. The Bellanca 7ECA aircraft had at least two people on board. Authorities believe they did not survive. Investigators have located the wreckage but so far they have not recovered it or any possible victims from the river. The Federal Aviation Administration will lead the investigation. A representative from the FAA says that two people were believed to have died when a small plane crashed into the Trinity River Saturday evening. According to the FAA, a Bellanca 7ECA crashed into the Trinity River near the Highway 105 bridge around 7 p.m. Law enforcement officials confirmed that both occupants died in the crash. Liberty County officials tell us that there were about 50 witnesses in the area that saw the plane go down. The names of the victims will be released by local law enforcement or the medical examiner after relatives are notified.